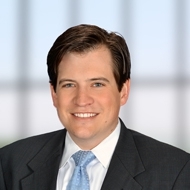 Andrew Bode is a Senior Vice President in Fults Commercial’s Dallas office and provides clients with seven years of commercial real estate experience. Andrew’s in-depth understanding of finance provides his clients with an edge needed to take advantage of changes in the marketplace. Andrew’s primary focus is on acquisition and development pursuits on behalf of both institutions and local investors. His prior years of asset management and project leadership delivers the expertise needed to add great value for investors. Prior to joining the firm, Mr. Bode was an Asset Manager of PegasusAblon Properties, LLC, overseeing a portfolio of over $300 million of assets. He has experience with Class A and Class B office projects in Dallas as well as a diverse set of retail and mixed use infill product; notably including a significant portfolio of assets in the Dallas Design District. Andrew holds a BBA in Marketing from the University of Texas at Austin. Recently, Andrew moved his residence to a loft in the core of downtown Dallas.